Planning a birthday party for your little dinosaur fan in Perth? Well check out these dinosaur theme playgrounds - they make the perfect place for hosting a birthday party for your special little dinosaur boy or girl. Please check with your local council on requirements for booking parks and requirements for permission regarding party entertainment such as bouncy castles. 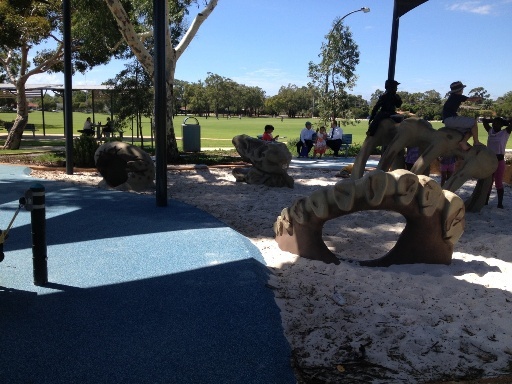 Play and climb all over the dinosaur bones in the sand at Sir Walter Padbury Park Thornlie. With toilets, bbq facilities, large grassed area,a big picnic shelter near the playground, a toddler playground and a large climbing net for the bigger kids it's the perfect party spot for dinosaur lovers of all ages. 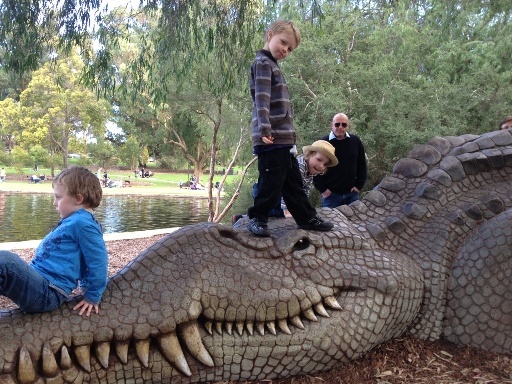 A fantastic park for bigger kids, with dinosaurs and other prehistoric creatures great and small the kids can climb over and explore. There is a big adventure playground and on Lycopod Island located in the central lake, kids can play on the fort playground and mist forest. There is also a large shelter here with power you can hire by contacting Kings Park. Everything you need for a party here with toilets, BBQ, kiosk and cafe. You can even organise party platters through Zamia Cafe located within the park. This beautiful, naturally shaded playground is the perfect place for a little dinosaur lovers birthday party. With play features suited for younger children including low slides, log balance, swings and of course they will love climbing on the dinosaur for the perfect birthday photo, and searching for dinosaur bones in the sand. Toilets, BBQs. picnic shelters and plenty of parking located here too. 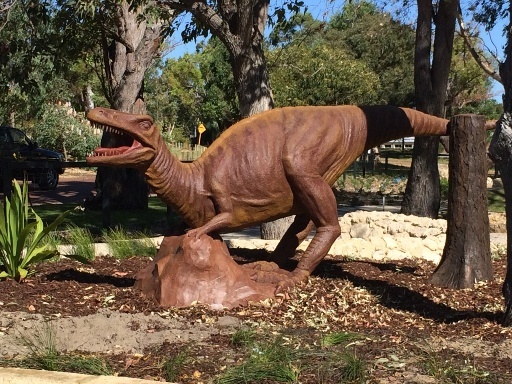 If it's a dinosaur themed birthday party you want to organise, check out these Perth Dinosaur Playgrounds. Be sure to check with your local council to determine if there are any booking fees applicable or if you need permission for additional birthday entertainment such as a bouncy castle. And if you would like some additional entertainment to complete your dinosaur themed park party - contact Wandering Dinosaurs for a ROARSOME prehistoric dinosaur party they will never forget. Party packages include dinosaur-themed party games that include real and replica fossils children can see, feel and marvel at. They can also add dinosaur themed party favours to your party package. 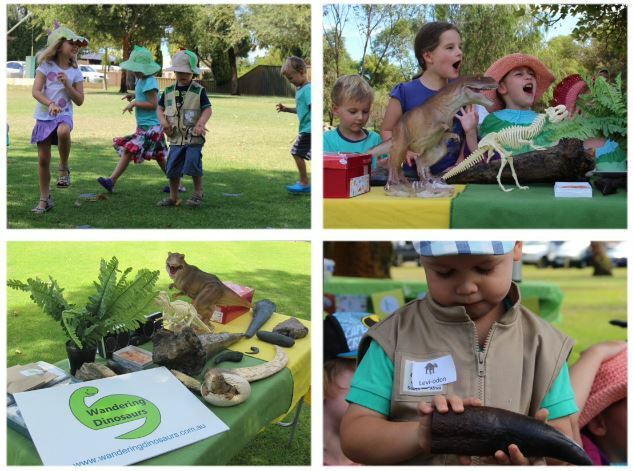 Find out more about a dinosaur party with Wandering Dinosaurs, and get lots of other party ideas in the Perth Kids Party Guide here.